IMPORTANT NOTE: MyCustomGiftShop.com is not connected with Custom Gift Shop. We are currently a wholesale-only business and do not take orders through this website. 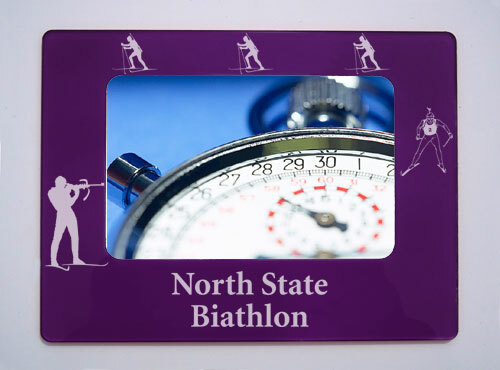 This frame is a fun way to remember your biathlon memories! Made from 1/8" thick clear acrylic that has been painted on back side of the frame. Your photo slides in the back and can easily be changed whenever you like! 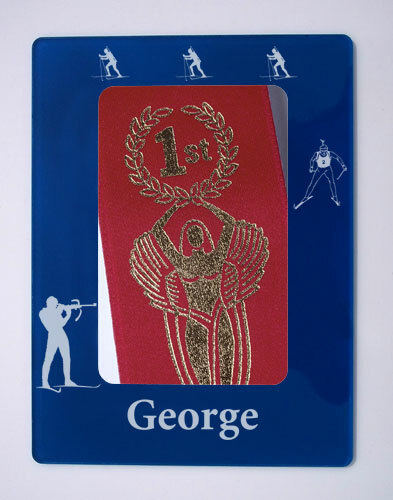 Great for displaying on the refrigerator, filing cabinet or magnetic bulletin board. 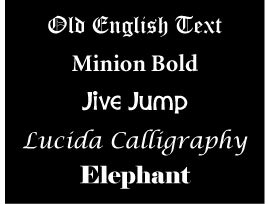 Add your own Custom Text for FREE! © , CAMIC designs L.L.C.